Just as each person has a different fingerprint, each of us has our own unique type of arch. With that in mind, we each need a great running shoe to fit our individual needs. I’ve taken out all the stressful hours of research for you and compiled a list of the best running shoe for all arch types. 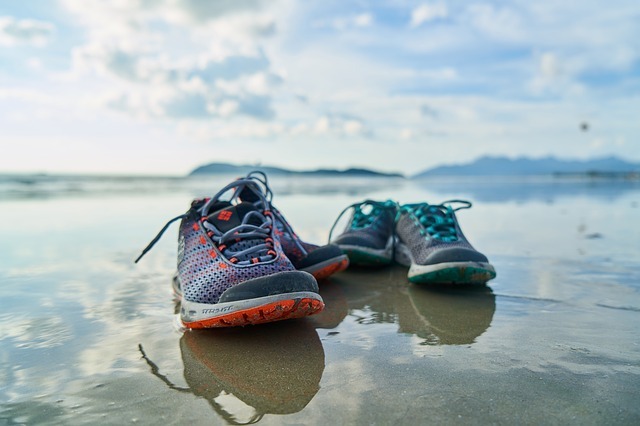 As a long-distance marathon trainer and member of various running teams throughout my career, I have accumulated thousands of miles on uncomfortable shoes. Additionally, I’ve worked with countless professionals as well as having done my own research. This has provided me with expertise in all things feet- from plantar fasciitis to pez cavus! I am here now to tell you exactly which running shoes will benefit your workout and your feet. At the end of the day, you need to feel comfortable in a pair of shoes at a price point you can afford. I’m going to break this article into three categories – best running shoes for a low arch, best running shoes for a neutral arch, and best running shoes for a high arch. Just as you may have read about the Best Yoga Pants, I will give you all the options needed to find the best running shoes for your feet! The Saucony Redeemer ISO 2 Men’s running shoe is the best shoe for a low arch or flat foot. This style also comes in a women’s design, with many sleek colors to choose from. Primary reasons this one has ranked at the top for those with arch issues is the support. The support on this shoe is intense and helps with severe lack of an arch. This shoe also has an Everun top sole cushion which provides additional cushion. The Everun layers cradle one’s feet during a long distance run, plus the frame is sturdy and always manages to keep feet in their proper position. This shoe manages to keep ankles from rolling out since more strain is put on ankle muscles in someone with flat feet. Therefore, the Saucony Redeemer ISO 2 Men’s ranks as my number one choice for cushion, durability, and stability. Stability is of the utmost importance when considering a shoe for severe overpronators. The Saucony Redeemer ISO 2 Men’s falls into a “Stability” shoe category and supports those with low arches. Additionally, the plush cushioning material is best suitable for creating a light and easy run. This shoe weighs in fairly heavy at 12 ounces, but running with these on makes your feet feel light as a feather. With a whole 8mm sockliner, there is never going to be a complain for pain. Lastly, on average these shoes can withstand hundreds of miles of pounding the pavement, track, or roads. The Asics GT 2000 6 is an additional premier running shoe for those with low arches. Someone with a flat foot will love many elements of this shoe. First off, the lacing system is sublime for those with overpronation. This condition affects the outside heel, second toe, and big toe the most. With the unique lacing design on the shoe as pictured, the pressure is dispersed more evenly throughout the foot. The Dynamic DuoMax Support System used in this shoe aims to combat the pain of low arches as well. The support system present in the Asics GT 2000 6 makes this running shoe a lightweight and stable option. This shoe also runs a bit cheaper than some of the other low arch options on the market. This shoe weighs in 10.5 ounces and contains a gel cushion, but provides much less depth than the Saucony Redeemer ISO 2 Men’s cushiony sock liner. This shoe contains a sockliner meant to keep the feet dry, but does not address pronation. The lack of a cushy sockliner is a major drawback from this shoe. Also, this shoe is made of less durable materials than many other running shoes, making it more likely to rip, tear, or lose effectiveness. Consequently, this shoe could cost you more money in the long run, even with a slightly lower price tag. Conclusively, the Asics GT 2000 6 is a great option for many, but may not be enough for those with severe pronation/low arch issues. 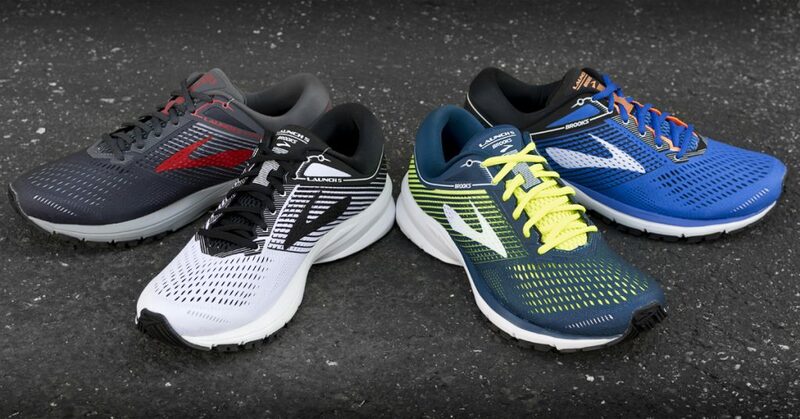 Brooks PureCadence 7 is the lightest of the options mentioned, weighing in at 9 ounces. Therefore, this shoe is light as a feather on any run. Furthermore, the goal of this shoe is to keep your feet aligned with your hips, knees, and ankles. Also, this shoe contains the Woven Air sockliner, making this shoe extremely breathable and airy. This airiness combined with a light weight aims to support joints on any long distance run. Additionally, the Brooks PureCadence 7 contains not only a flexible but also a seamless sole allowing for maximum movement during a workout. Finally, the shoe aims to combine support, flexibility, and breathability into one running shoe, really aiming to help low arches. However, this shoe fairs pretty lackluster when it comes to durability, as a seamless construction causes a higher chance or rubbing. Consequently, the rubbing not only could create bliters, but also wears away at the sock lining and ultimately the outer shoe fabric. To expand, Brooks PureCadence 7 is usually on the more expensive end of the running shoe spectrum, and a durability concern is the main factor that ranks this shoe lower on our list. Finally, the lacing system could be too tight and create too narrow of a shoe for those with medium to wide width feet. Overall, this shoe accomplishes the target of creating a breathable and flexible shoe that caters to low arches, although it has some work to do in terms of durability and width. The Brooks Launch 5 manages to aid those who need neutral support in a quality road running shoe. Continually, this shoe intends to cushion and create a springy feel whilst remaining lightweight. 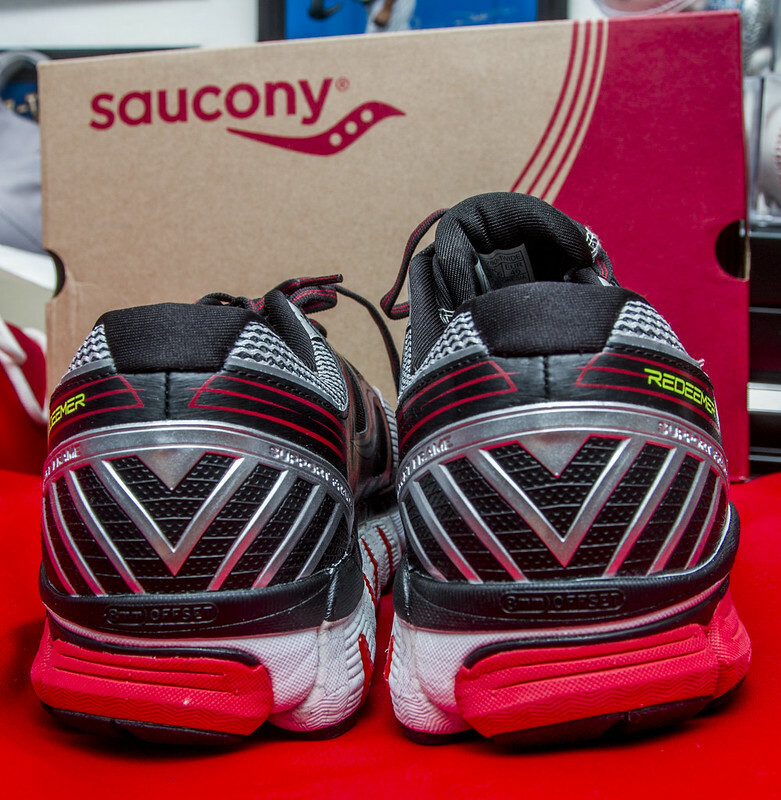 At 9 ounces, it weighs on the lighter side of running shoes, but packs a lot of support in. This shoe is perfect for those with a medium arch because it supports from the heel to the toe evenly, which is best meant for those without major pronation or extension problems. This shoe continues to fair high on comfortability and space in a road running shoe. With such a wide toe bed, this shoe will never be considered too narrow and allows room for feet to breathe on long and hot summer runs. This groundbreaking shoe made for the neutral foot is ranked first not only in technically skills, but in appearance and affordability. The Brooks Launch 5 comes in 11 colors for men and 14 colors for women, one of biggest selections of styles on our entire list. This makes for a fashionable shoe for any workout attire. Additionally, this is one of Brooks’ cheapest shoe options and gives great quality and at a great price tag. Overall, the Brooks Launch 5 is a fashionable option popular among people of all ages. 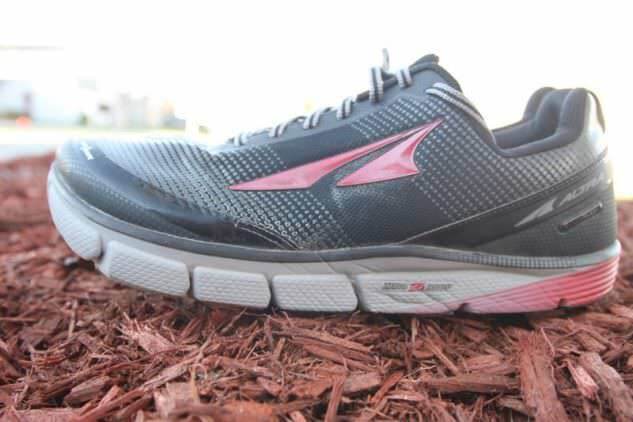 Finally, with a price point and durability from a reputable company, you can’t go wrong with the Brooks Launch 5 for those runners with neutral arches. The Nike LunarGlide 9 is another quality shoe for those runners with a medium arch in their foot. This shoe provides significant support for those long runs whilst maintaining a lightweight feel. Also, this shoe is said to be very flexible and allow for more movement. As someone with a medium arch, flexibility is most important. To elaborate, this is because someone with a medium arch still requires support, but can get away with more flex due to a more neutral pronation. The Nike LunarGlide 9 has a thinner sole than most shoes, but still allows for a thick enough layer of support with a medium arch. These running shoes are available in over a dozen colors and styles for men and women. Finally, this shoe has a wide enough lacing bed to accompany most widths of feet. The Nike LunarGlide 9 has many solid features but falls into second place for a few reasons. Firstly, as I mentioned earlier, it has a wide lacing bed, but may not accompany those with wide feet (it feels very tight if your foot is wider). Secondly, some with neutral arches complain that there is not enough cushion while running, especially on rough conditions. However, overall this is solid shoe with many positives for runners with neutral arches. The Nike Free RN 2018 is another solid option for those with a medium pronation and arch in their step. First off, this shoe is extremely stylish and even has the option to design your own, making this the most customizable shoe on the list. This shoe is also the lightest on the list. The mesh material allows for maximum breathability. This shoe is wide enough in the toe area to allow for flexibility and space to move, a major plus for those who don’t need to direct pressure away from the toes. This shoe has a few technical issues that rank it lower than the others. First, the Nike Free RN 2018 isn’t the most durable made shoe and is known to wear down, especially with traction. This can allow for slippery conditions on wet or muddy ground. Also, this shoe can easily get pebbles stuck in the bottom, making for a very uncomfortable run. While not a deal breaker, it’s certainly something to consider when purchasing a shoe. One thing it does not fall short on for sure is enough support with flexibility and breathability. In summation, the Nike Free RN 2018 is a quality shoe for those looking for just enough support for a medium arch without too many other strings attached. The ASICS Gel-Kinsei 6 is perfect for those runners, like me, with supination, or under pronation. This means that the pressure from a hit is on the outside toes and causes pain throughout the leg when contact is made with the track, road, or grass. First off, this shoe utilizes the revolutionary technology of I.G.S., or Impact Guidance System, which aims to distribute impact at landing. This shoe also contains gel cushioning in the back and front of the shoe to reduce impact. Combined with a stretchy and cushioning mesh, the movement is maximized for those with high arches. The foot is supported for every mile of long runs and can breathe and move with a lacing bed made for flexibility. The I.G.S. system reduces shock while maintaining a breathable shoe. Continually, this shoe has a thick support bed. Although it weighs in at over 12 ounces, the support is much needed for those with risks of supination and subsequent injury. Another big plus is the gender-specific cushioning each shoe has. For women, there is a lower density top layer in the midsole, which creates much better support and assistance. 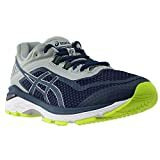 Therefore, with the stability, cushioning and impact system, the ASICS Gel-Kinsei 6 tops our list of best running shoes for those with high arches. 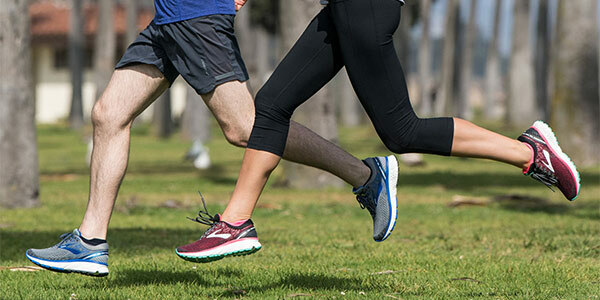 To begin, the Altra Torin 3.5 offers high cushioning, support, and are more for road racing and long distance runs while maintaining a lightweight mesh bodice. First off, this shoe employs many tactics to make it cushy and comfy. The use of A-Bound cushioning and the FootShape Toe Box allow for space for the toe bed and feet to move whilst reducing the impact on them. This is especially important for individuals with high arches and supination. This shoe offers thick support as noted in the picture, however, weigh in at just over 9 ounces. This makes the shoe very lightweight. This shoe is also breathable, due to the mesh engineering making up the body of the shoe. The Zero Drop platform used by this shoe, aims to reduce impact upon contact with the ground and cause less pain overall. Due to the Altra Torin 3.5 being made out of mesh, much of the midsole and walls of the shoe have lessened stiffness. This does allow for flexibility, however, this can also lead to a higher chance for holes, blisters, and wearing out quicker. This problem is exacerbated by the fact that many users claim the shoe runs up to half a size smaller, so when you order online, keep that in mind. The Altra Torin 3.5’s lack of a sturdy bodice is not a deal breaker, but certainly contributes to its’ ranking. An athlete with high arches will feel much relief in their big toes when using this lightweight trainer. However, keep an eye out for wear and tear in the Altra Torin 3.5. The Brooks Ghost 11 is the newest shoe in a long line of Brooks Ghosts. This shoe offers support for mainly. medium-high arches and may not support severe cases of supination enough. However, for those of us with higher than average arches, this shoe may be just right. The Brooks Ghost 11 uses a revolutionary technology called a DNA LOFT heel crash pad, which creates softer landings and less impact. It feels lighter than ever due to an engineered mesh for breathability and flexibility. The cushions in this shoe are made for shock absorption, which is a major benefit for high arched feet. This shoe is made for high performance and made to withstand long distances without pain. This shoe keeps feet in check with crash pads and added cushioning to ensure leg pain is minimized. However, the Brooks Ghost 11 like the aforementioned shoe, lacks durability. There are reports of the shoe liner falling out after a few wears. Also, the mesh on this shoe as well as previous Ghosts seem to lack stiffness needed to keep feet from busting the seams. This can cause the sides and/or top of the shoe to begin to deteriorate well before the miles of the shoe have been reached. 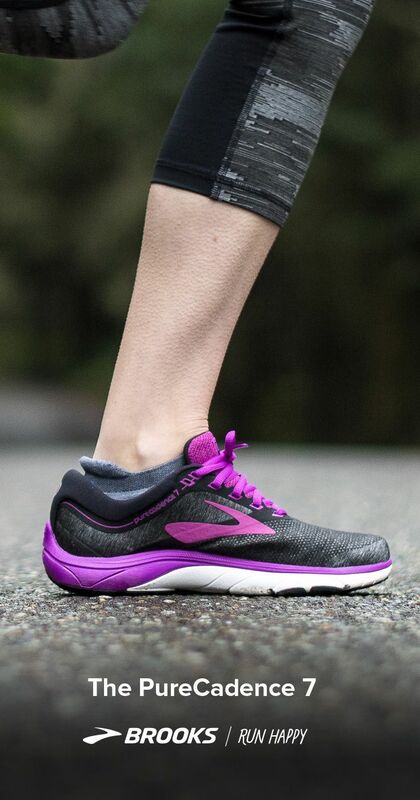 Therefore, this shoe is an amazing shoe for shock absorption and impact reduction, but be weary of the durability and strength of the Brooks Ghost 11. Q: How do I know what type of arch I have? To determine which type of arch one has, a simple test called ‘The Wet Test’ is used. To do this, one should pour a thin layer of water into a small pan. After that, they put their foot in the water and wet the sole. Next, one has to make a footprint onto a piece of paper towel. Then, if you have a low arch, your foot will most likely be all the way filled in on the paper towel. A medium arch indication is when about half the arch is visible in the footprint. And finally, if little to none of the arch is visible in the footprint, your feet probably exhibit high arches. Q: Why can’t I just buy any running shoe? Well, you sure can buy any running shoe you would like, however, you may suffer consequences. If a shoe isn’t made for the shape of your foot, it probably won’t fit properly or feel right. Next, this puts the cushioning or gel used by the shoe to support your particular style of feet, in the wrong spot. This voids the purpose of any such support. Lastly, pain. Pain can occur in the inner and outer ankles, toes, heels, and more as a result of ill-fitting shoes. Conditions such as plantar fasciitis, shin splints, and runners knee can even result if proper shoes are not worn. Q: What are some other tips for comfortable running? A few other tips to give you the best run include hydration, diet, stretch, and apparel. Many people know to hydrate before and after a run, but what about during? Consider purchasing a water bottle that compresses or can be strapped to your body, especially during summer months. Sipping during a run decreases the chance of fainting, dehydrations, fatigue from the sun, and more. A runner’s diet is also very important. Make sure to eat a carbohydrate and protein rich meal a few hours before running and make sure to replenish your energy afterwards. Always stretch before and after running. These stretches can range from static to dynamic and anywhere in between. Make sure all leg muscles are warmed up before a run and cooled down after to prevent injury and strain. Lastly, make sure your socks, the often forgotten about item, is quality. Buy a pair of breathable and light socks that absorb sweat without becoming smelly, wet, and a perfect ground for bacteria. Be sure to stay away from cotton based socks during a workout and opt for a spandex or wick material instead. ← Can I Sell My House For Sale By Owner?